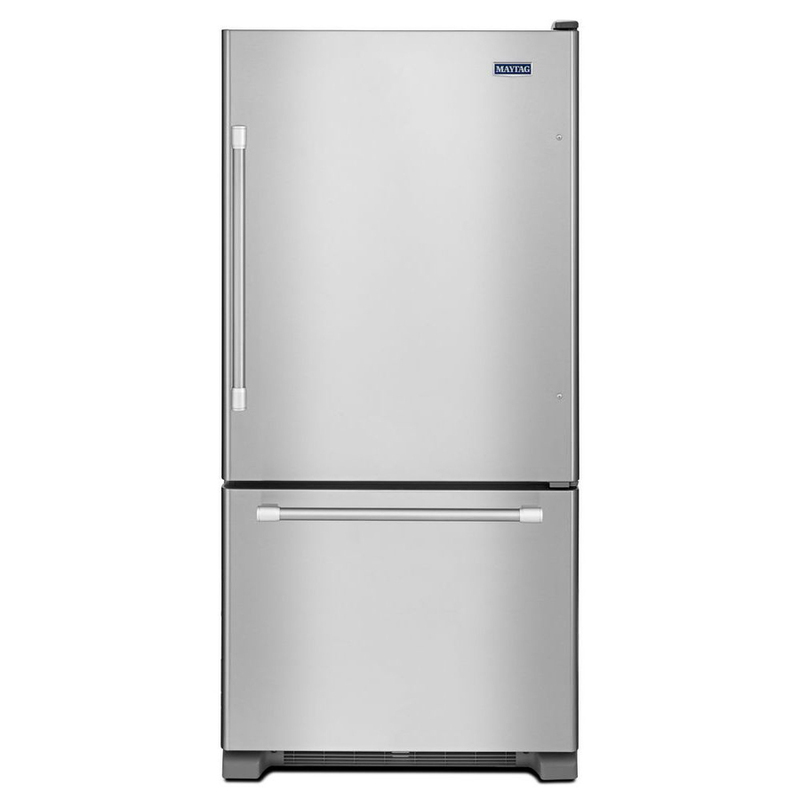 This bottom mount refrigerator by Maytag offers and array of customization and storage options. Within the refrigerator are four spill-proof cantilever shelves, two half width humidity crisper drawers, a full width door, four adjustable door bins, a fixed full width door bin, and a dairy center. The freezer features two full width sliding baskets and a factory installed ice maker. The unit is illuminated with long-lasting BrightSeries LED lighting that is engineered to cast a brighter, whiter light.